“I am an American discovering America”. These words by Marsden Hartley never rang truer than during my trip to Santa Fe, New Mexico. This enchanting artists’ colony has been on my travel bucket list for some time. 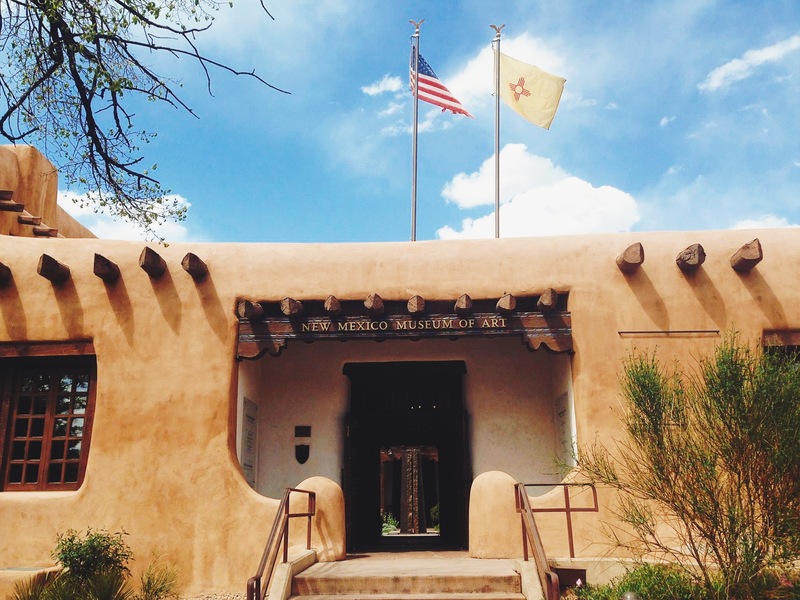 I had no idea the rich history, both culturally and culinary, that awaited me in this southwestern town. 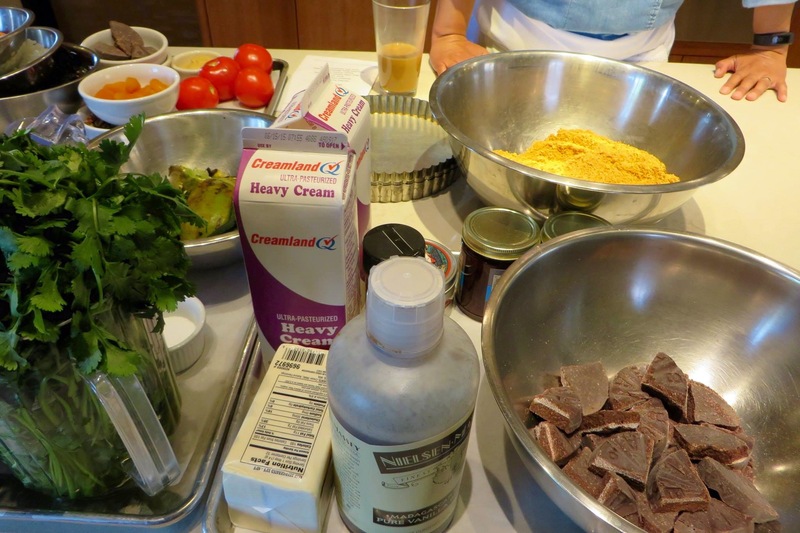 A lover of all things epicurean, I enrolled in a cooking class at the suggestion of my hotel concierge. Santa Fe School of Cooking hosts a wide array of hands-on courses and tasting menus, which made it hard to choose, but I ultimately decided on “Mole & More”. Mole, a dish with endless ingredients and prep time that would deter most home chefs, has always intimidated a seasoned cook like myself. Little did I know that our instructor, Chef Michelle Chavez, would guide us through the process with ease, providing helpful tips and tricks along the way. Michelle, equal parts historian, teacher, and foodie, began our four-hour session with an introduction that rivaled my AP US History class. During her talk, I learned more about this region of America than in my four years of high school history classes. 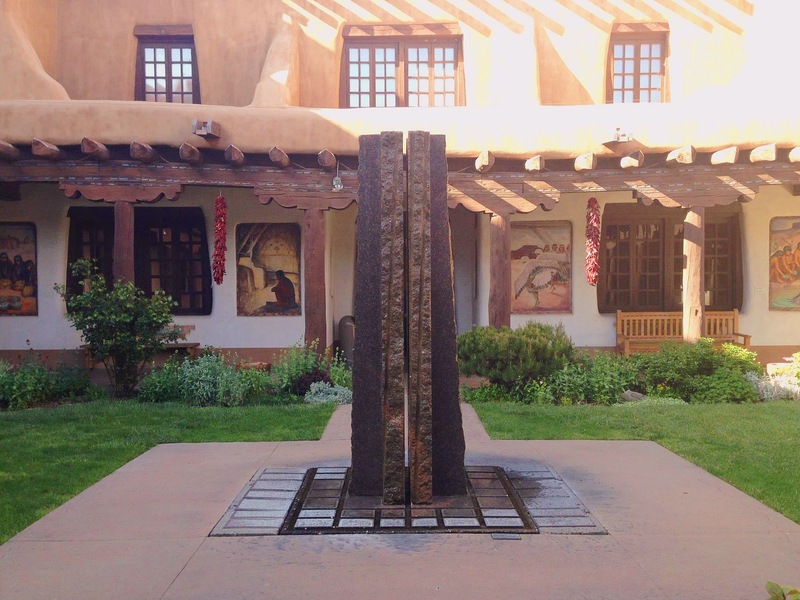 “Every group of people who came through Santa Fe, be it on the Camino Real or the Santa Fe Trail, left an indelible impression on our food and culture. To remove one from our history would change our ways drastically”, shared Michelle as she pointed out the bountiful culinary traditions of those who had come before. “Corn, beans and squash, collectively known as The Three Sisters, were gifts of the native population, as well as the wine grapes, pigs, sheep, wheat and other cultivars brought by the Spanish.” She shared stories of the Pueblo, Zuni, and Oaxaca heritages, highlighting the often overlooked contributions of these Native Americans to this plentiful cuisine and culture. While Michelle mixed fresh beans, roasted fragrant chiles, and simmered Abuelita chocolate, she offered suggestions on everything from making bone broth to cookie-crumb crust. Scribbling down every word on my recipe sheets, I was eager to try these suggestions back home. 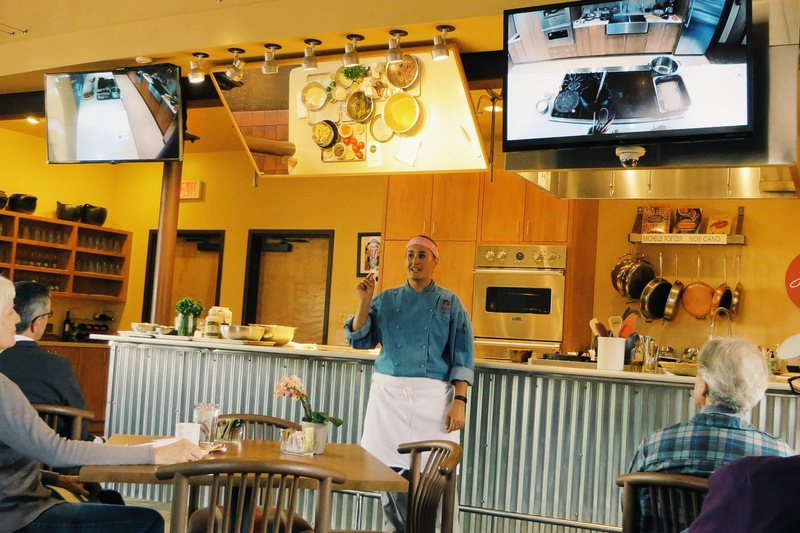 With Food Network-style presentation, Michelle wove around the room with each course neatly timed. Each dish exceeded my palette’s expectations, and had a precise mixture of sweet and savory, all while offering that signature New Mexican spice. Weaving my way up through the center of town, I thought about my impromptu history lesson and what this area must have looked like centuries ago. I imagined towering rows of corn, fields of colorful squash, and an earthy expanse set against the stark blue sky and hovering mountains. Stepping into the courtyard of the New Mexico Museum of Art, I now understood why so many artists had been drawn to this magical place. 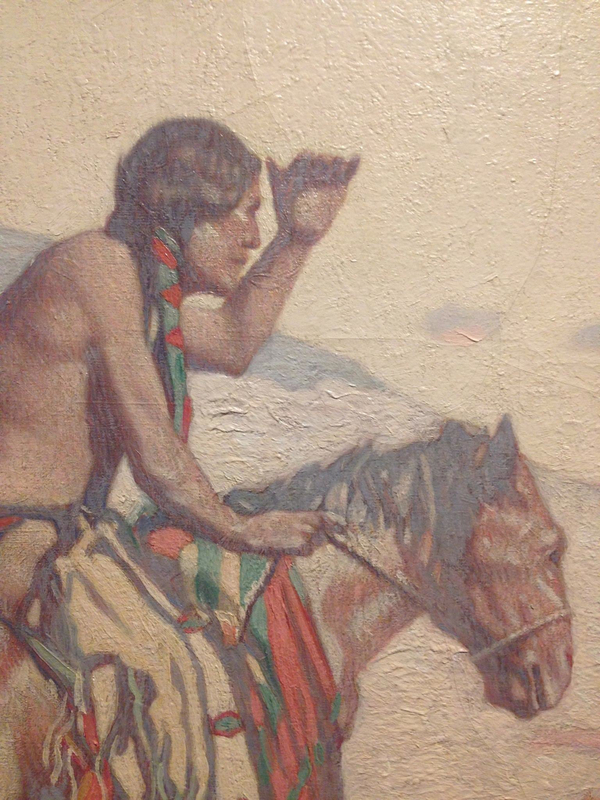 The Will Shuster murals that lined the courtyard offered a glimpse into what life was like on this land long ago. Once inside the museum walls, I walked through the exhibit enjoying a multitude of interpretations on early American life. From Diego Romero’s Romanticism-inspired piece Olympia to Fritz Scholder’s larger than life Pop-Art Super Indian, I was overwhelmed by the wash of hues and textures that this “Summer of Color” inspired exhibit displayed. One piece drew me closer, and I stepped towards it in a cautious manner. The Scout, by Warren E. Rollins, made me wonder what was going through this man’s head. Capturing the uneasy feeling of a stranger approaching, “Do I retreat? What do they want? Where are they from?” Rollins’ work left me pensive, yet uncomfortable. Moving on to Taos Pueblo-Moonlight, the neighboring oil painting by E. Irving Couse, I longed to step into the picture. A familiar, yet somber mood came over me as I studied the family around the fire: an elder passing on generational wisdom to an eager child. Leaving the museum, I crossed through the square and absorbed the fresh breeze on this crisp, spring evening. Inspired by the varied artistic expressions, I took some photographs of passersby and local architecture. While seeking out my next stop, a local vendor in the square recommended that I take a walk up to San Miguel Mission. 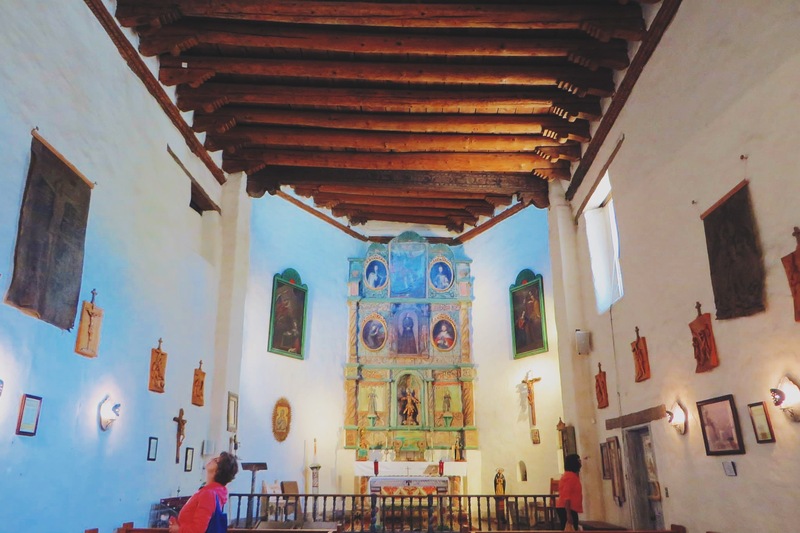 San Miguel, the oldest church in the United States, has a simple façade washed in the burnt almond color that is ubiquitous in Santa Fe. With each creaking footstep, I made my way along the pews, admiring the quaint and homely church. Approaching the altar, I dropped in some coins and lit a candle for my nephew. As I knelt down at the wooden altar, I looked into the foundation of the church. Squinting to make out the placard below, I could see the ruins of an Indian home dated 1300. My eyes welled up with heavy tears, overcome with the emotion and burden from the day’s lessons. 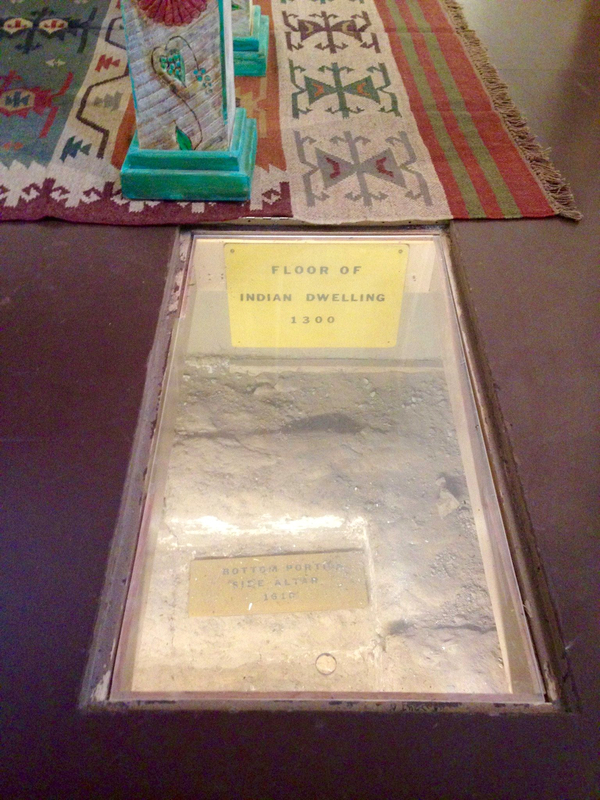 I silently wept for all those who had lost their homes and habitats in that early round of colonization. Walking slowly out of the small church, I wondered what it would be like to be displaced and lose my house and heritage in the process. Once home, I was eager to try my hand at the menu that Michelle had so synchronistically prepared during my trip. 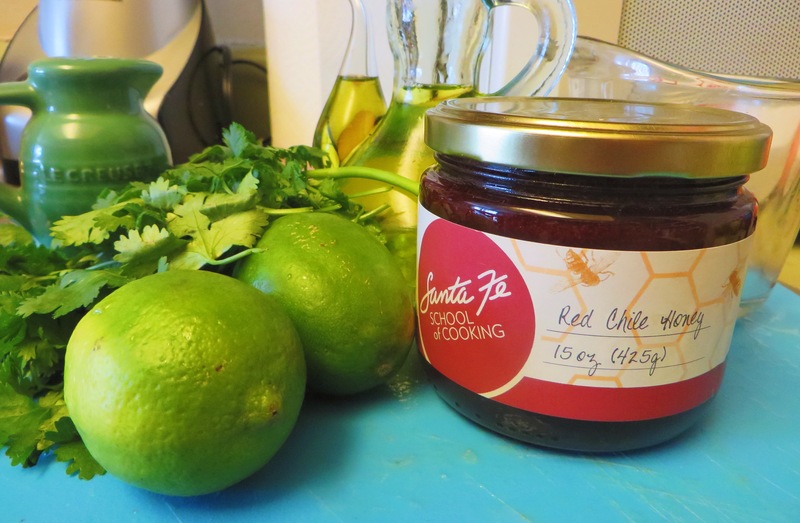 Lucky enough to live in Los Angeles where many of these ingredients can be found, I reviewed my notes and assembled a shopping list for my recreation of “Mole & More”. Noting a few holes in my ingredient list, I called the school and ordered a few things to complete my menu. I created a new acronym, WWMD, as I repeatedly asked myself through the lengthy preparation, “What would Michelle do?” With a few tweaks and twists, I prepared a spicy and sumptuous feast for a few friends. My delectable dishes were devoured in what seemed like minutes. Sharing stories of everything from summer romances to systemic racism, my guests and I enjoyed a fragrant and fulfilling meal. 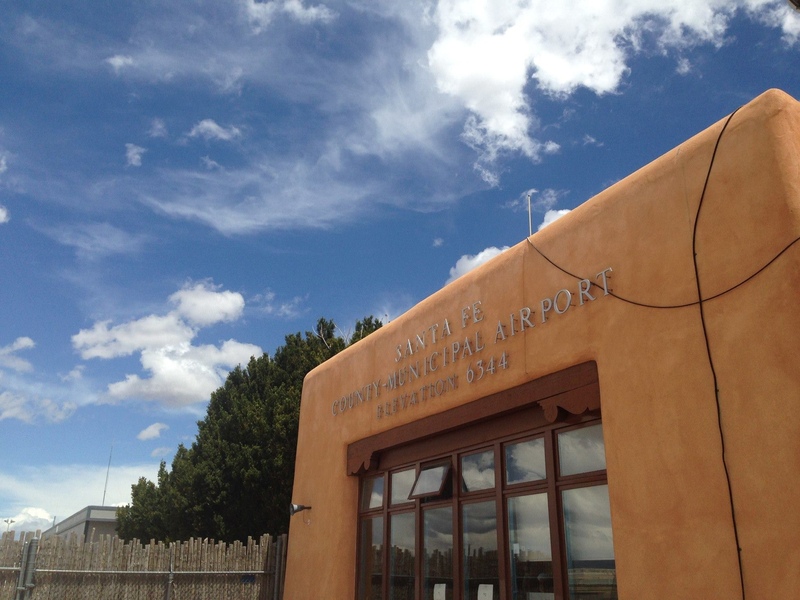 Pleased with my performance, I recounted stories and insights from my trip to Santa Fe and vowed to return to the southwestern town before year-end. I would like a replay of this feast here in The Bay! You inspire me to be more adventurous.